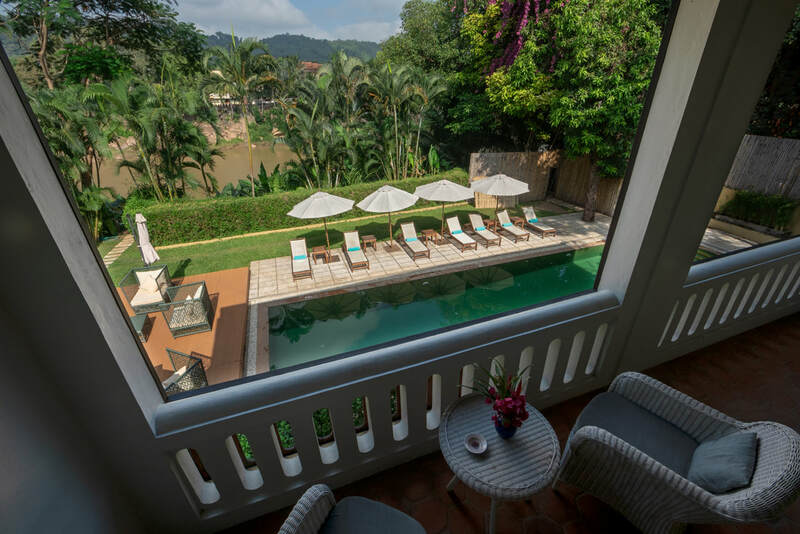 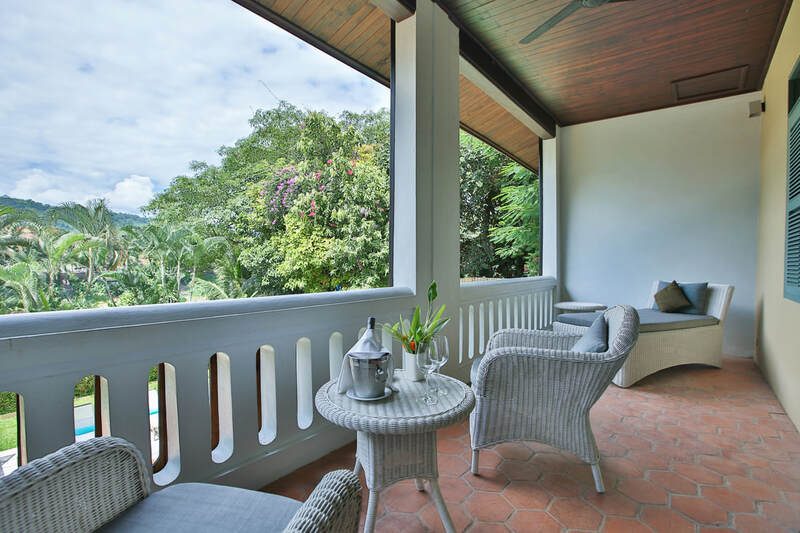 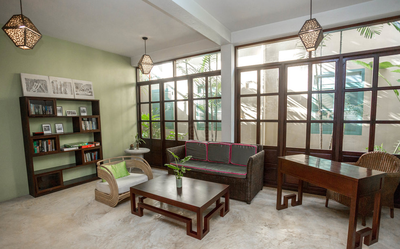 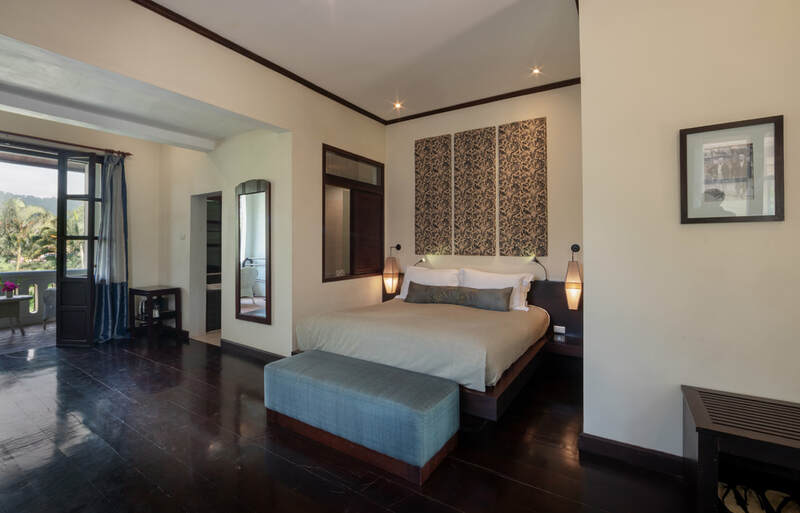 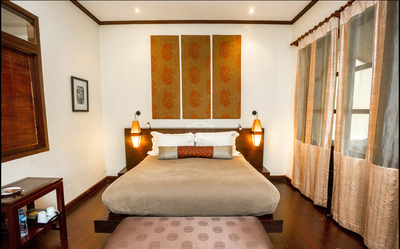 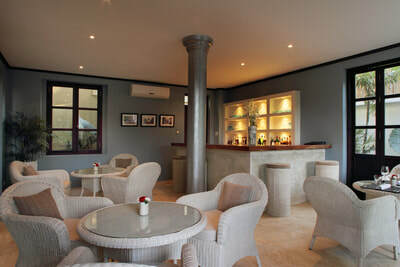 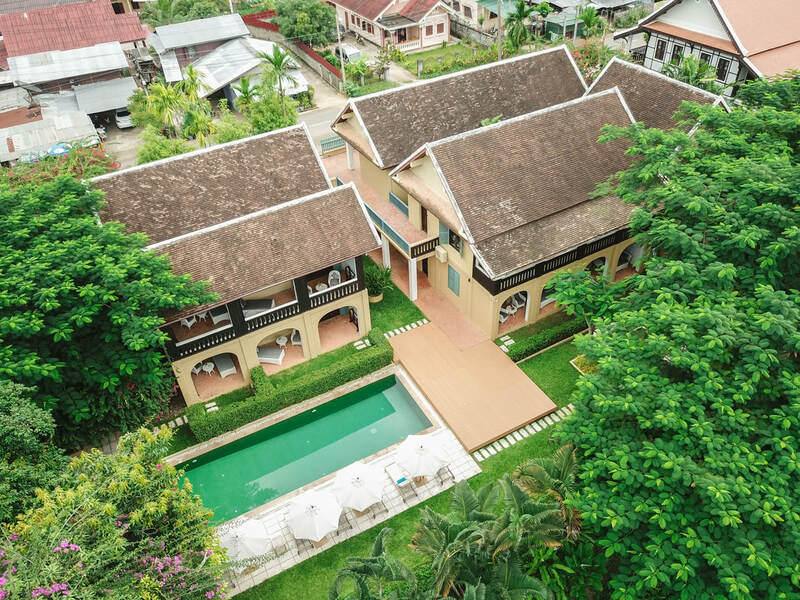 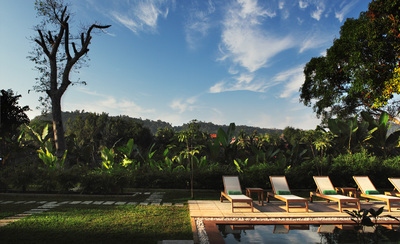 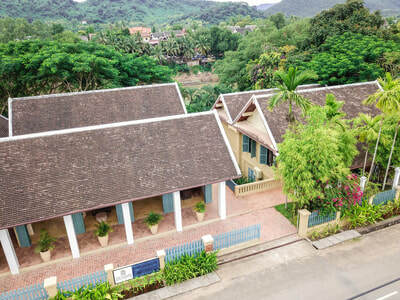 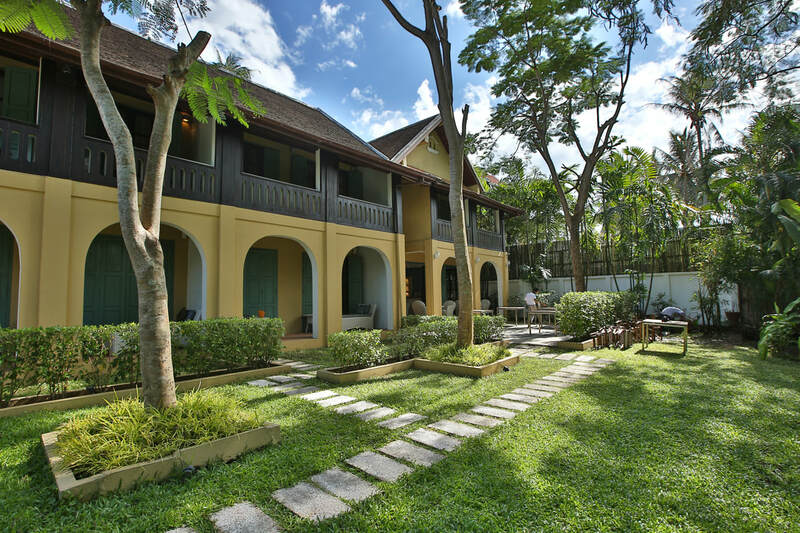 ​Enjoy your visit to Luang Prabang in luxury, style and comfort at the Apsara Rive Droite Hotel. 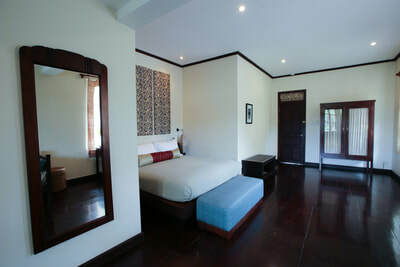 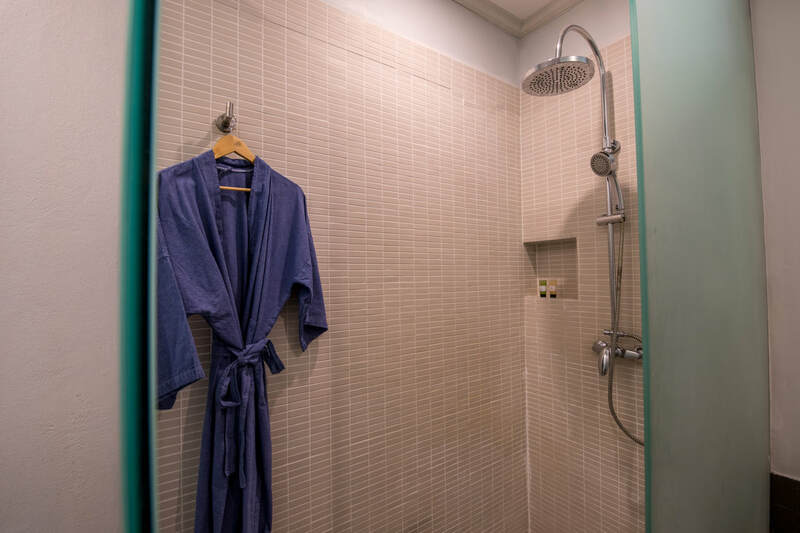 The nine rooms are large, spacious, airy and glamorous with large fully equipped bathrooms, complete with separate shower and bath. 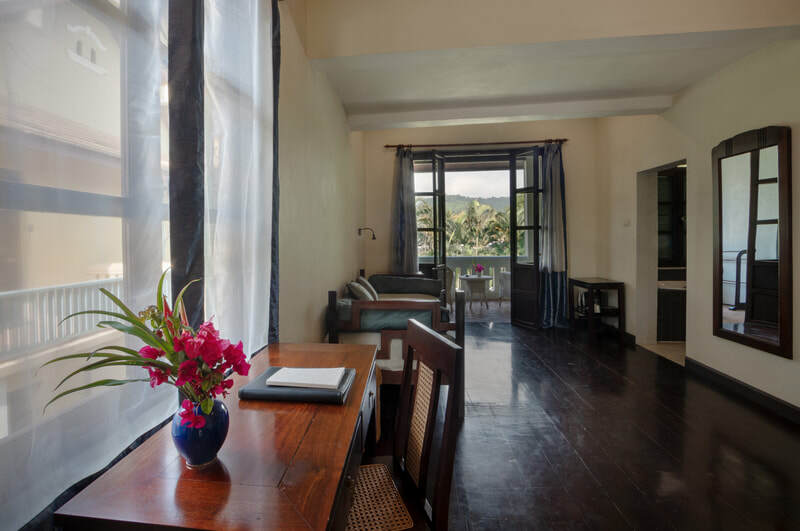 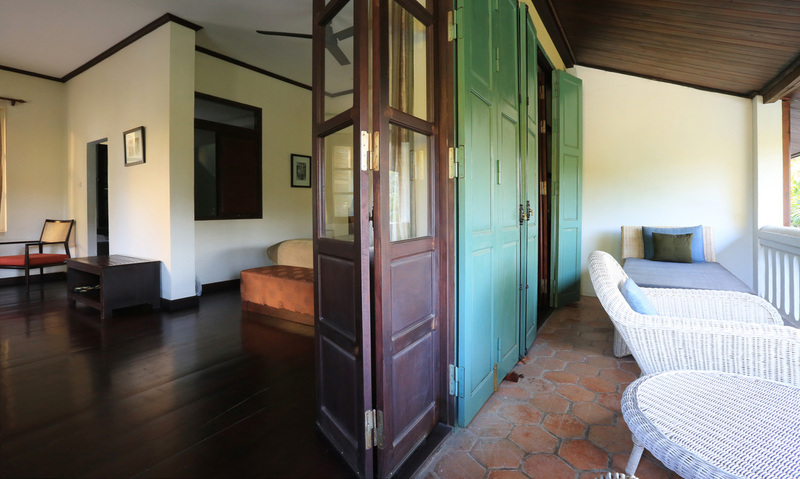 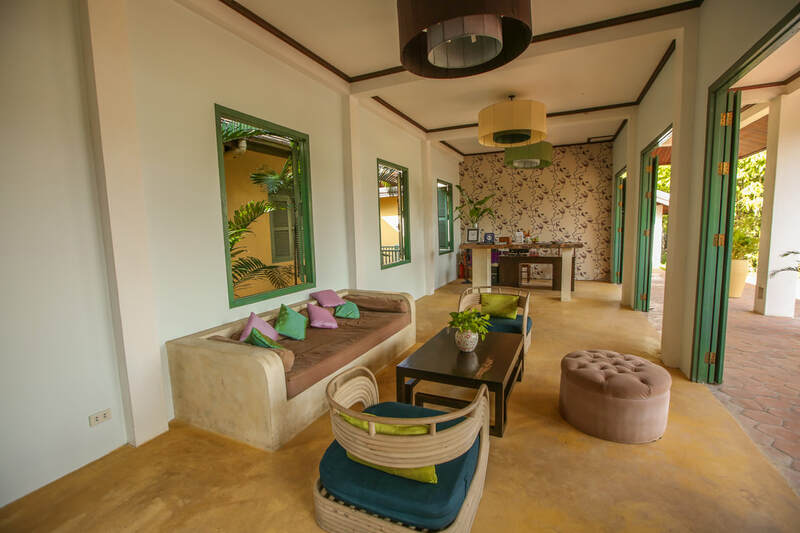 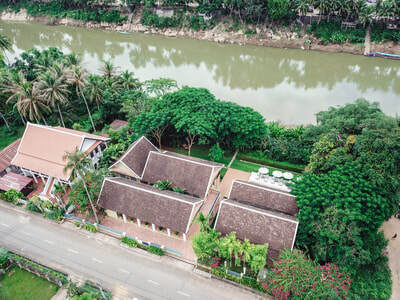 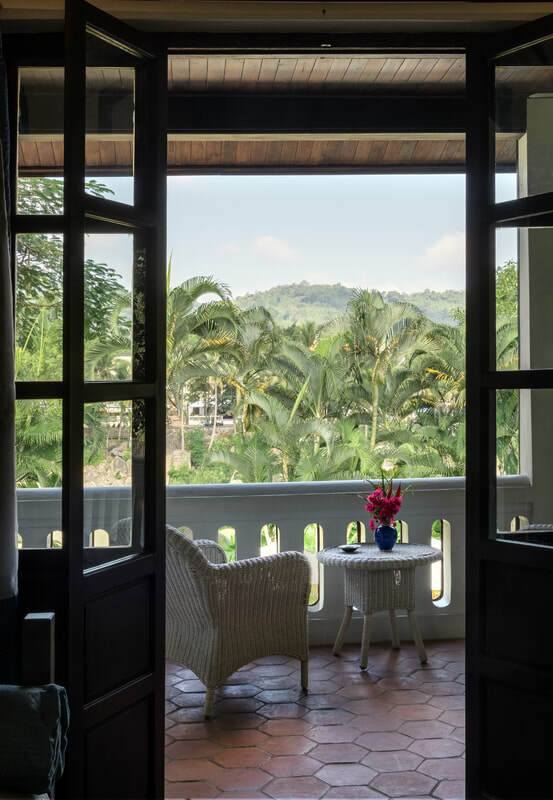 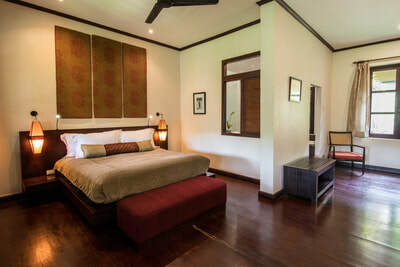 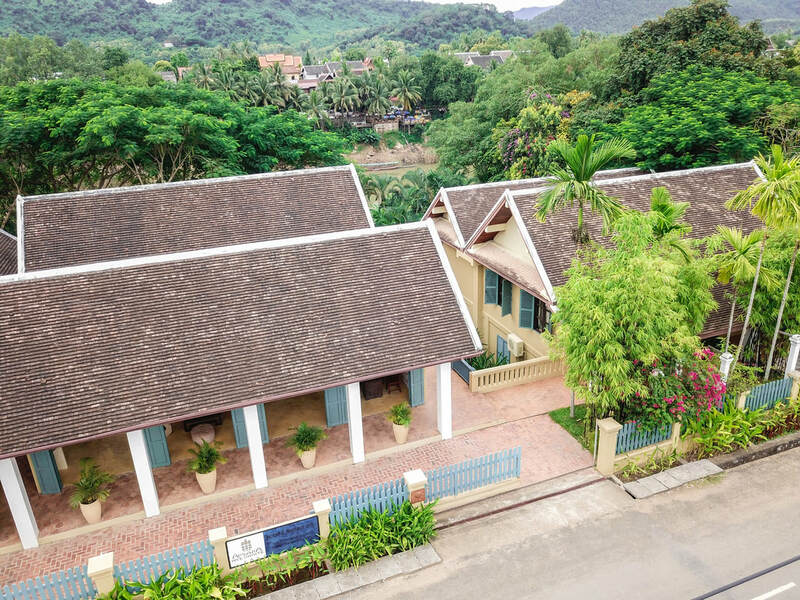 All rooms have wooden floors, a king size double bed with western mattress, air con and fans, safes, a mini bar, hair dryers, phones, and views of the temples and mountains of Luang Prabang. 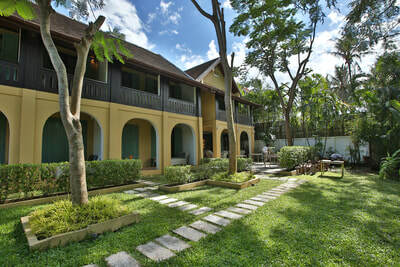 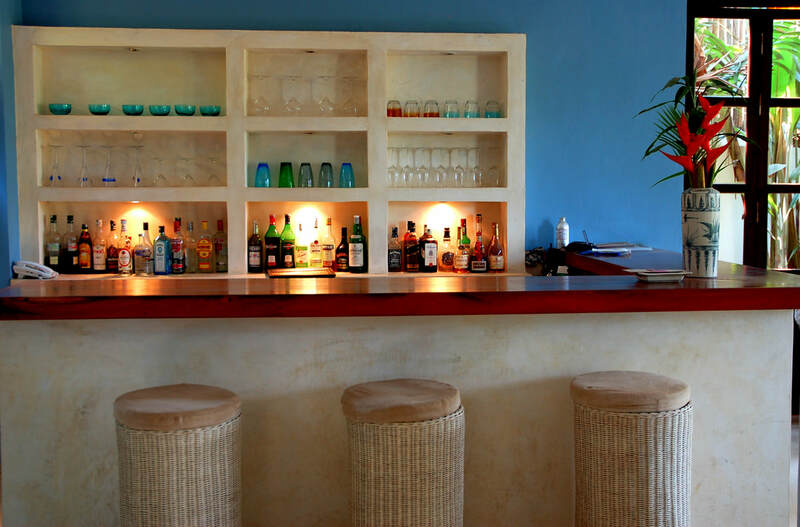 ​Facilities include a restaurant , spa and outdoor swimming pool. 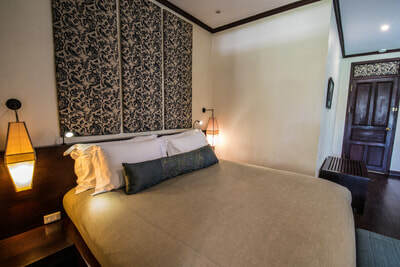 Four of the rooms have a day bed that can very easily be made up into a single bed, if needed. 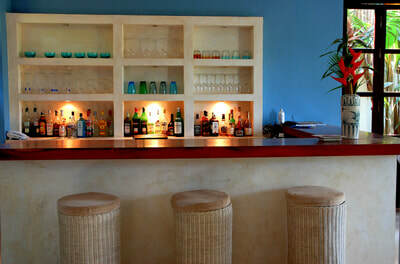 Please ask the staff if there is anything you need to make your stay more enjoyable. 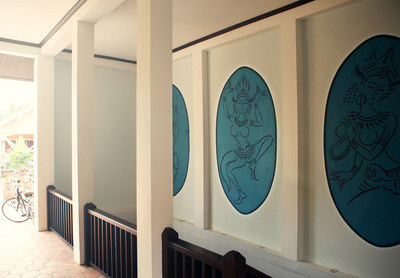 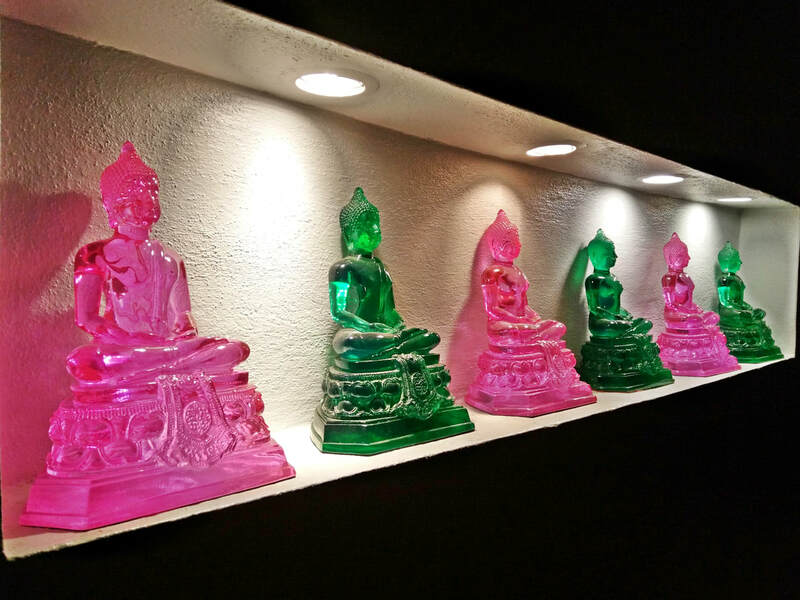 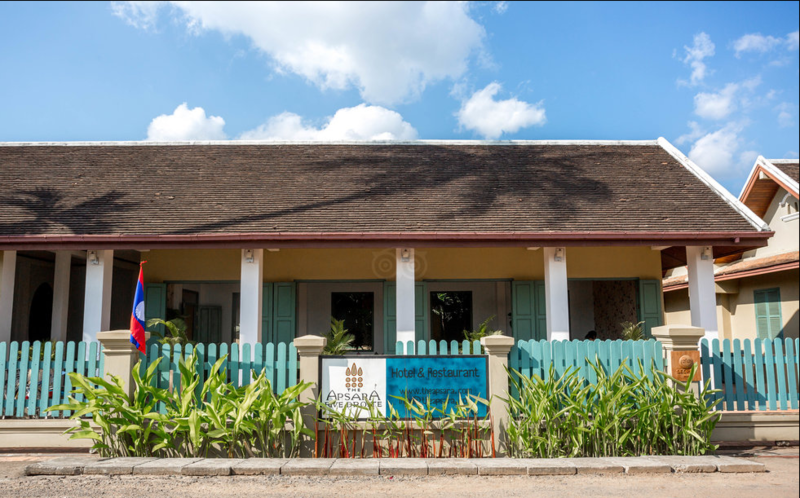 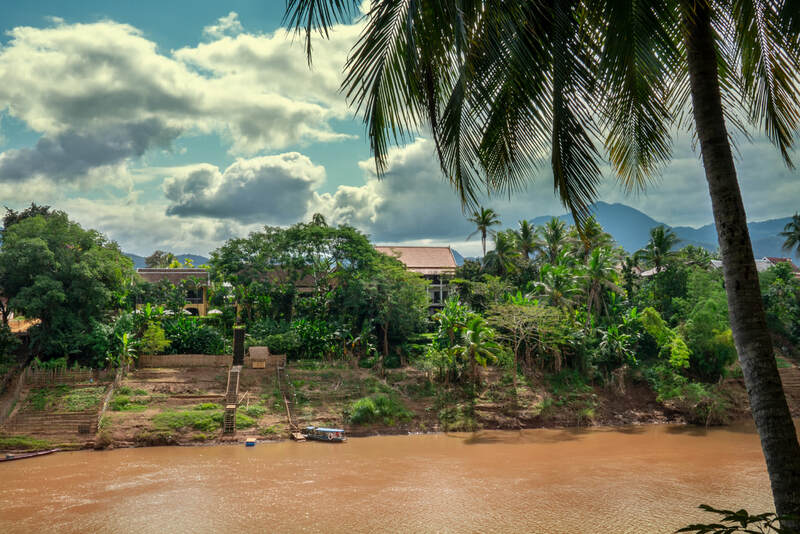 They are dedicated to recreating the true spirit of Luang Prabang happiness and wellbeing throughout your stay. 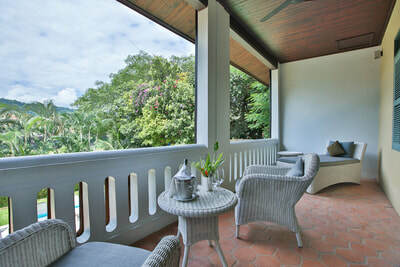 We kindly ask guests who smoke to do so on the terraces or verandas rather than in the rooms. Thank you. 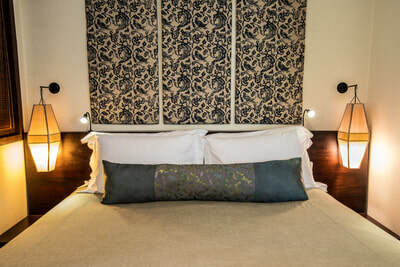 ​﻿Connected to the town centre by our own boat, the Apsarian Queen, it’s easy to get right into the heart of town. The Apsarian Queen operates on demand, daytime, and night time until 10pm. During the dry season ( November to May) a pedestrian bamboo bridge is constructed 5 mins walk away from the hotel which allows quick access into town. 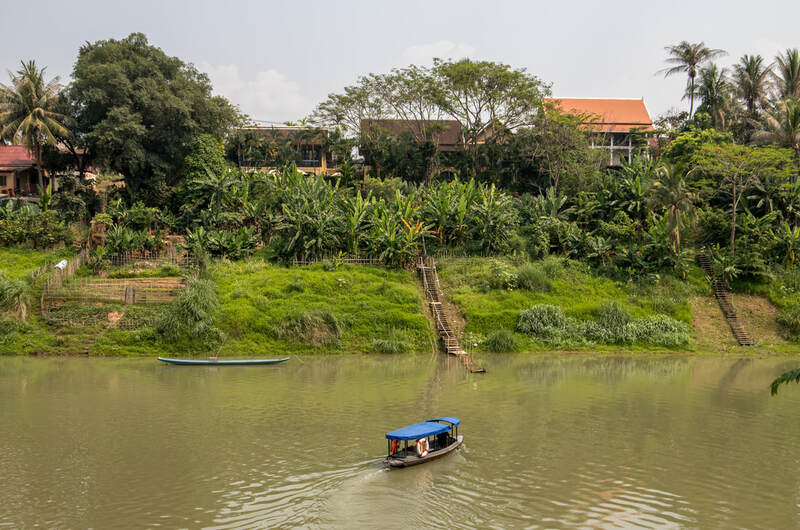 Bicycles are also available and you can pedal quickly into town using the nearby "Two wheels two legs only" bridge. 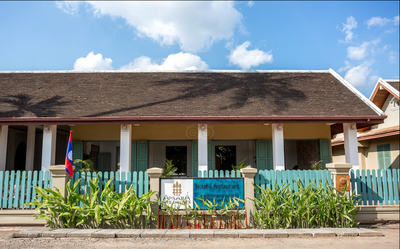 Alms giving is also a special experience in the village of The Apsara, Rive Droite. Although a much smaller procession than that in town, it has a real local flavour and is less affected by the numbers of tourists. 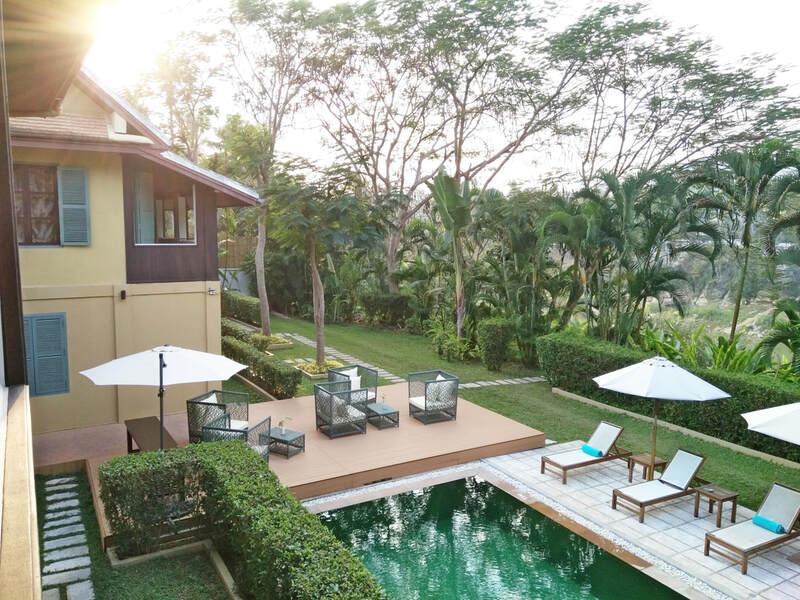 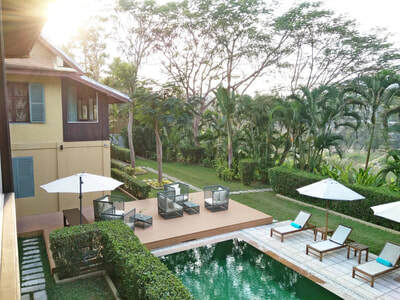 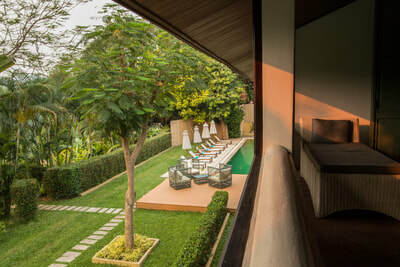 Staying at The Apsara Rive Droite, you can spend the morning going to the temples, shopping or just exploring the side lanes and enjoy an afternoon in luxurious idleness by the pool. 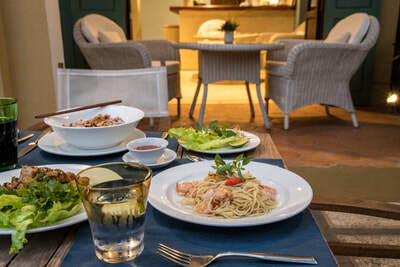 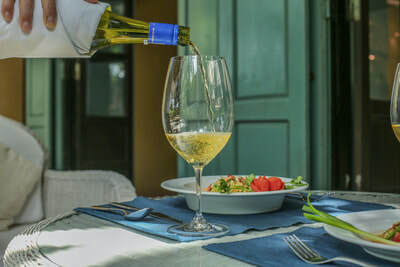 The restaurant is open for all day dining, offering a fresh and delicious poolside or dining menu for those wishing to eat in. 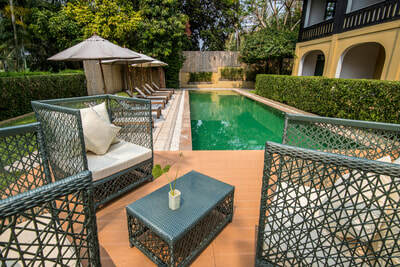 ​Free Airport transfer when you book direct with us. 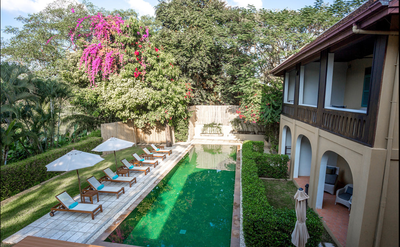 Please note that the swimming-pool at The Apsara Rive Droite is for the exclusive use of the Apsara Rive Droite guests.